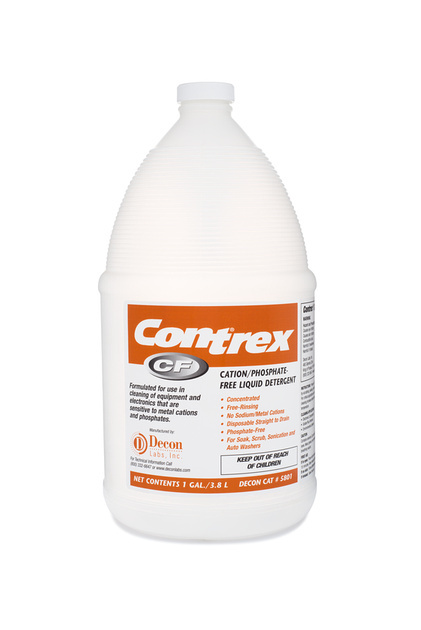 Contrex® CF is a concentrated liquid detergent formulated for use in cleaning of equipment and electronics that are sensitive to metal cations and phosphates. Contrex® CF is free-rinsing, phosphate-free and disposable straight to drain. Can be used for soak, scrub, sonication and auto washers.